Friendly, helpful and compassionate. It is a NO BIKINI pageant. Create value through sustainable development, brotherliness, Peace, Unity, culture, tradition above all Goodwill, To bridge ethnicity and contribute to the well being of the overall society and Nation. Women Empowerment, Gender Equality, Free Child Education, Free Medical Treatment for pregnant Women, Eradication of HIV/AIDS, Malaria and other Diseases, Green Earth, Global Warming, Peace and Unity Advocacy, Girl Child Marriage, Human Right Abuse, Child Abuse, Human Trafficking, Domestic Violence Against Women, Police Brutality, Corruption. This project is endorsed by United Nations(UN), International Red Cross Society of Nigeria and National Emergency Management Agency(NEMA). 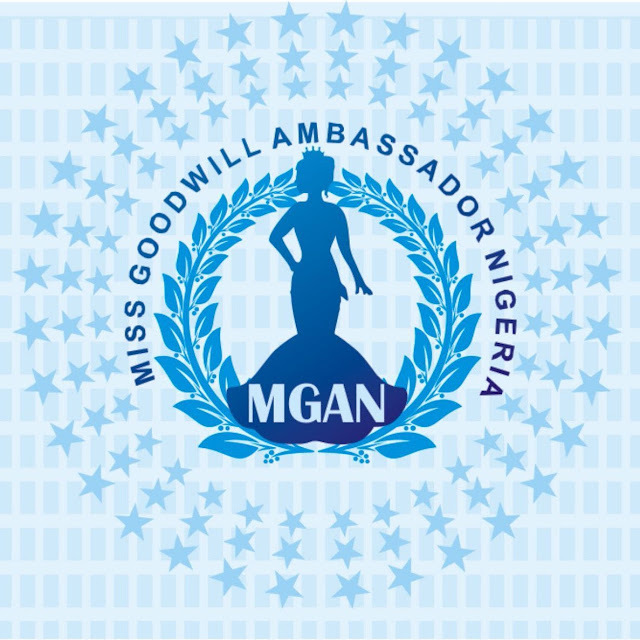 All is set to kick off the 2016 edition, with endorsements from international and national Humanitarian Agencies and Top celebrities, the unveiling of national major sponsors coming soon. MGAN is organised annually by GOODWILL AMBASSADOR EVENTS AGENCY who are also the organisers of Nigeria's most respected humanitarian awards,NIGERIA GOODWILL AMBASSADOR AWARDS and AFRICAN WOMEN IN BUSINESS CONFERENCE, AFRICAN MOVIE AND MUSIC AWARDS and Owners of MISS GOODWILL AMBASSADOR WORLD which is billed to start in the year 2018, it will be open for global participations, stage anywhere in the world, with South Africa already showing hosting interest. YENAGOA, PH, CALABAR, UYO, ABA, OWERRI, AWKA, ASABA, BENIN, LAGOS, ILORIN, MAKURDI and ABUJA. The last audition in Abuja will hold 2 weeks after the National auditions @ The Transcorp Hilton Hotel, Abuja. There will be free 2 nights accommodation for contestants coming from out side Abuja.